This website will see many additions and alterations over the coming months so please keep checking back regularly. 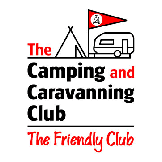 We are the East Yorkshire District Association (EYDA) of the Camping and Caravanning Club (C&CC), committed to being a friendly, responsible branch of the C&CC. Here at EYDA we have a very hard working, committed team who endeavour to ensure that our members and guests have a safe and enjoyable stay with us at our events. Camping with EYDA is a fun and friendly way to get the most out of your C&CC membership with holidays by the sea and in the countryside at affordable prices. We run weekend rallies for much of the year and longer temporary holidays sites (THS’s) in the summer as well as our well renowned War weekend in pickering (please check our sites 2013 link above), a downloadable war weekend booking form is also available from the war weekend page. We have a youth and junior youth section allowing our children to learn about responsible camping, as well as learning fun and relevant skills in a safe environment. There is also the opportunity to enjoy meeting new friends at regional, national and international youth events run within the club please see link above. If you haven’t tried camping with your local D.A then please come along and give it a try, you will be assured of a warm welcome by friendly, like minded people. Please remember, this site is run by members for it’s members. If you have any suggestions that you feel will improve the site, pages that you would like to see or any other comments, then please click the link below to bring up the email address and feel free to email me. 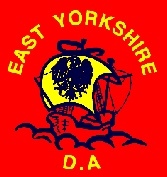 Hi my name is Billie-Jo Taylor and I'm chairman of East Yorkshire District Association. Welcome to our website. I hope you will find all the useful information to help you plan your camping breaks on our weekend rallies or temporary holiday sites that you need. EYDA is a friendly and fun loving DA and we aim to make every member more than welcome on all of our sites. Whether you have been a long time member or it's your first DA meet you will always we made welcome. Our site stewards will be happy to help at all times so your stay with EYDA is an enjoyable one. DA camping is a fun and inexpensive way of getting out camping with old friends and a great way of meeting new ones and having fun. For any information on EYDA OR DA camping please use our "committee" link to get in touch. We will be more than happy to answer any questions. During this year we have some great holiday sites along with some fantastic weekends to look out for including our well known 1940’s weekends at Pickering and Woodhall Spa, don’t leave it too late to book for these as they do fill up very quickly. My chosen Chairman’s charity for this year will once again be Dove House Hospice. Thank you for visiting our website and I look forward to meeting you on one of our rallies throughout the year.